This survey is completely voluntary. Your responses to these questions will be kept confidential. 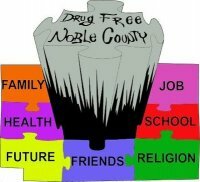 This information will be used to better serve Noble County. * 1. Please provide your basic demographic information.